Get creative with Michelle's Click.Artistry series: products created especially to showcase your favorite images or papers! 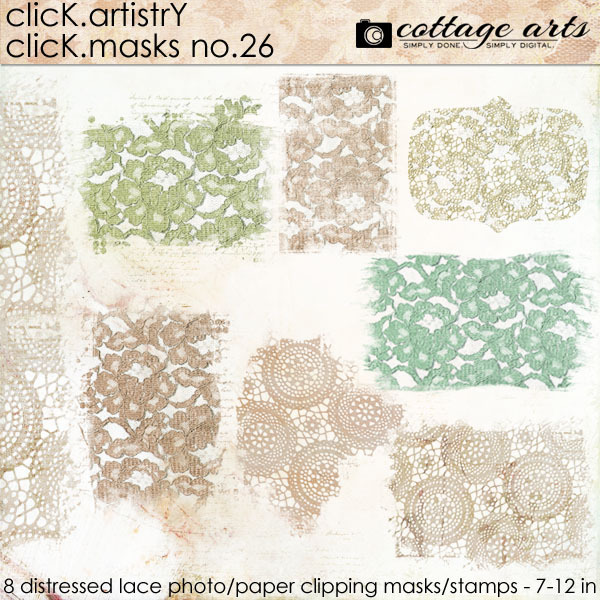 These Click.Masks include 8 - 7-12 inch distressed lace clipping masks/stamps in PNG format. 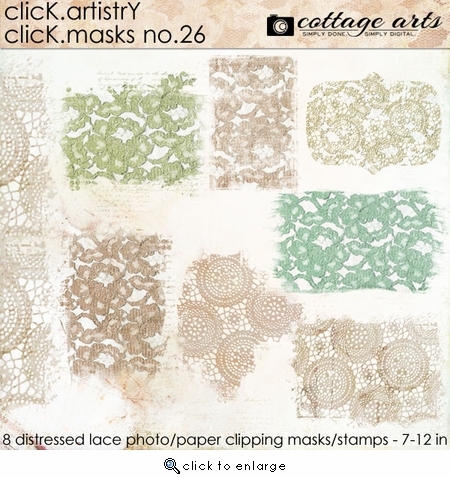 Fill with papers, photos, or use these pretty lacy masks all by themselves!